For the past couple of months, whenever I've popped into a book store, this red and white cover has been everywhere. 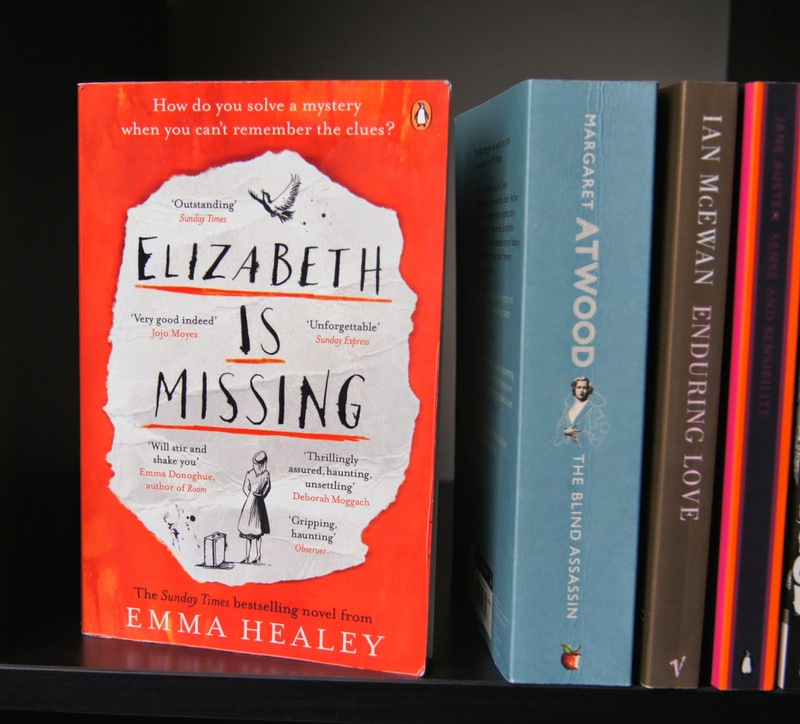 Elizabeth Is Missing, by Emma Healey. Seeing as it appeared to be so popular and was a Sunday Times best-seller, I decided to sneakily nab it off my Mum when I saw it on her bookshelf. Instead of reading the blurb or reviews of it online, I just dived right into it. One of the most intriguing and compelling books I've read recently, I felt an eagerness to continue to read right from the word go. Don't worry, there's no major spoilers below if you haven't read it! How can you solve a mystery when you can't remember the clues? Maud, the eighty-odd, widowed protagonist, lives alone. Both her carer and daughter, Helen, visit daily to look after her. At first, she appears forgetful and you put that down to old age, but it soon becomes clear that it's more than just senility. Writing notes is Maud's way of reminding herself of important things; recipes, appointments and details about her missing friend. The story follows her sleuthing to find out what happened to Elizabeth, who has suddenly stopped calling. Her detective skills are faltered by her fading memory, but she never gives up her search, even when no-one else seems to care. She finds herself in a similar position to when her older sister went missing, back when she was at school; another mystery that was never solved. Eventually, the past creeps into her present, becoming tangled and making it difficult for Maud to differentiate between the two. Although technically a crime novel, there's an overlap of genres within this book and it has a very personal feel to it, similar to a diary. Typically English, the story is ordinary but, having that thriller element, it's totally gripping. The narrative is mostly interior monologue and you really feel every step that Maud takes. It's easy to place yourself in both her shoes, frustrated that people treat her like a child, and the characters that surround her, frustrated that she won't listen to their concerns. As the story continues, the deterioration of Maud's memory is clear, yet her identity and sense of self is ever resonant giving the narrative a humorous element, albeit a dark one. Constant flitting between the present day and her younger, post-war years can be confusing at times, reflecting the uncertainty of Maud's mind. Whilst there's some repetition and ambivalence within the narration I didn't find it irksome, although I'm sure some readers would. Waves of happiness, sadness, fear, curiosity and mystery take you on a complete, roller-coaster ride of emotion throughout. Rather than having a resolute, fairytale ending, the book remains unsettlingly realistic. As soon as I read the last word, I cried. I wasn't expecting to be drawn in to the story or to become so emotionally attached, so quickly. Once I'd sat down and opened the book, I was hooked and read practically half of it straight away. It may have something to do with the fact I could relate so much to the tale. My own grandmother had Dementia and I felt both happy and sad to think that her inner thoughts may have been similar to Maud's. The portrayal of Alzeihmer's Disease, which Maud is presumed to have, is so genuine and not at all far-fetched or exaggerated for effect. You can definitely tell that Healey has had some experience of the disease. This is definitely a novel that reminds you of who's important to you and how mentality towards others can so greatly affect their lives. 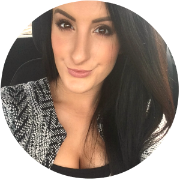 It's a real heart-wrencher, that teaches you a lesson in patience, kindness and humility. A definite must-read! 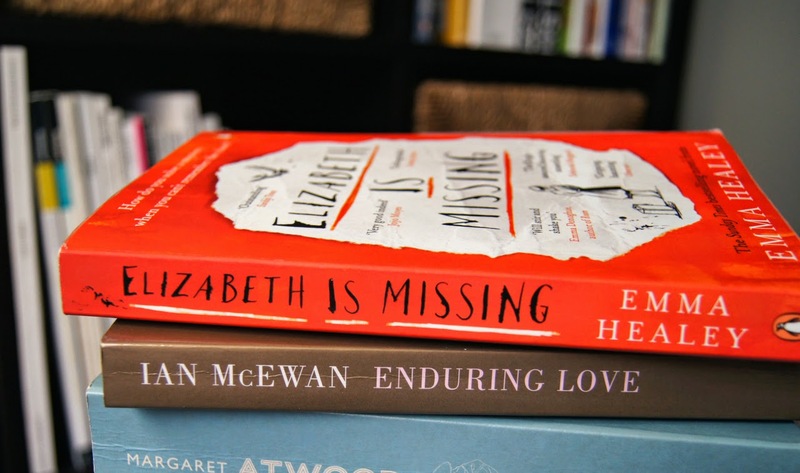 Have you read Elizabeth Is Missing? This so sounds like my sort of reading, defiantly adding it to the wish list!